GRATEFUL DEAD / JERRY GARCIA LAST CONCERT TICKET STUB! 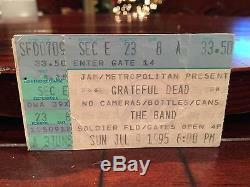 (Sec E - Row 23 - Seat 8) This Grateful Dead Concert Ticket Stub is from July 9, 1995 - over 20 years ago at Soldier Field in Chicago where The Band opened up for them... THE VERY LAST GRATEFUL DEAD SHOW! To say this is RARE is a gross understatement... 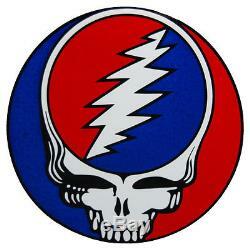 It is VERY RARE and a true piece of Grateful Dead history. The ticket is in great shape and although it has a few signs of wear and a thumbtack mark from being on my bulletin board, the ticket is in great shape and would look fantastic framed up with a photo from the 1995 tour, our or even better yet, from the actual FINAL SHOW! The ticket stub has been stored in a heavy duty acrylic display case with screws for years and is begging for a new home. I hope it goes to a true fan and it winds up framed on someone's wall eventually. I have worked in the entertainment industry for over 29 years now and have been saving (as well as framing) these concert momentos for 30+ years. It's time to share them and find them new homes - to true fans that will appreciate them as much as I have over the years! 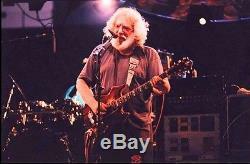 The item "GRATEFUL DEAD / JERRY GARCIA LAST CONCERT TICKET STUB! SOLDIER FIELD CHICAGO" is in sale since Friday, January 29, 2016. This item is in the category "Entertainment Memorabilia\Music Memorabilia\Other Music Memorabilia". 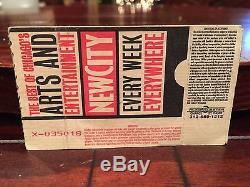 The seller is "soundcheck1970" and is located in Schaumburg, Illinois. This item can be shipped to United States, to Canada, to United Kingdom, DK, RO, SK, BG, CZ, FI, HU, LV, LT, MT, EE, to Australia, GR, PT, CY, SI, to Japan, to China, SE, KR, ID, to Taiwan, ZA, TH, to Belgium, to France, to Hong Kong, to Ireland, to Netherlands, PL, to Spain, to Italy, to Germany, to Austria, RU, IL, to Mexico, to New Zealand, PH, SG, to Switzerland, NO, SA, AE, QA, KW, BH, HR, MY, TR, BR, CL, CO, CR, PA, TT, GT, HN, JM.